Toni Maier, ASSOS founder, has been an innovator and inspiration in the cycling industry for over 40 years. And, the Swiss-based apparel brand is released forToni: A history of Firsts, a short documentary-style video that pays homage to Maier and celebrates the revolutionary innovations he has made in the sport of cycling. Those include the first carbon bicycle. The first aero cow-horn bar. The first Lycra cycling shorts. The first sublimated jersey and so on. The 20-minute film includes appearances from cycling greats who discuss the advancements that have been made in cycling since ASSOS was founded in 1976 and the contributions Toni Maier made. Bernard Hinault, Miguel Indurain, Joop Zoetemelk, Greg Van Avermaet, Nicolas Roche and Urs Freuler all provide commentary about ASSOS and Toni. A limited-edition commemorative jersey was also made, the Fortoni with their Dual Tex fabric and reflectivity. It’s a sharp-looking jersey and will match the ASSOS shorts I’ve had forever. The Fortoni is ASSOS regular fit with raw-cut arms and for the summer. 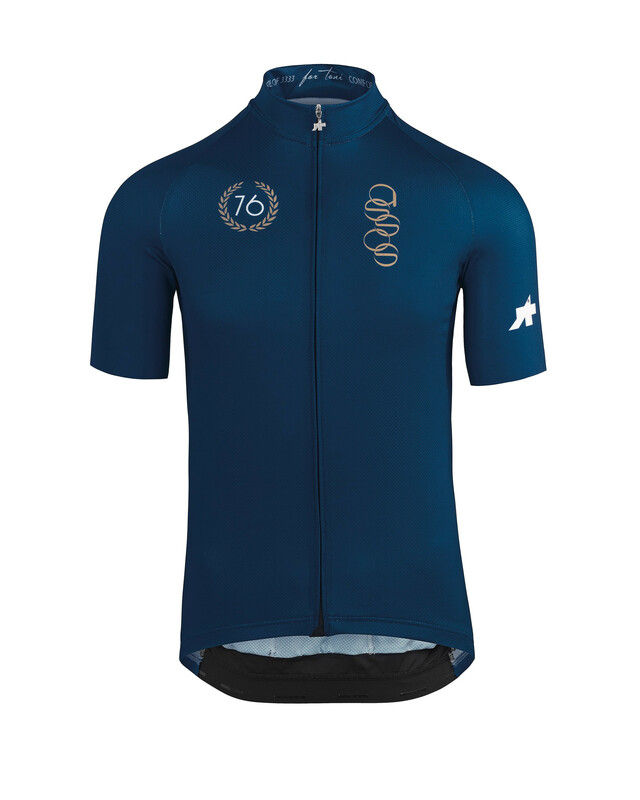 “We wanted to create a jersey to pay homage to Toni Maier and to celebrate how far the brand has come over the past 40 years,” says Phil Duff, CEO of ASSOS. Having these cycling greats together in one room exchanging stories really brings to life the impact that ASSOS has had in the pro peloton since 1976 and how these advancements have fundamentally impacted their careers, past and present.